When a person or an institution has a subject matter of sustainability, the environment shouldn’t be the only focus. The awareness within its concept including the core belief, the professionality as well as the interpretation of the role, conforms great effects toward the possibility of sustainability itself. Meaning addition to the inspections and the integrations of both the hardware and software; Giving impetus to cultivating cultural decedents as well as the insight of dialyzing main issues. The Artists, possessing the fluidity and creativity, adds value to the community and the society, in so, builds up a full cycle. The potential of this very cycle lies in the collaboration and innovation of the interdisciplinary. It incorporates the energy, perspectives and technicalities from various direction, imagining an enriched and better society. What we seek, is to find a method for the Artists or the Organizations to find a sustainable principle beyond the torrent of society, filled with countless environmental problems. The diversity in discussion and fulfillment is fundamental for a closed-connected society. This next lecture and workshop cuts into four main topics, through accelerating the horizontal via the vertical connection with the artists and non-artists, takes a further step in reflecting the responsibly toward the society that art has taken on. Also, in how we are going to fulfill and pass on the important values. When people realize and recognize the environment they live in and the identity of who they are, every single question, every choice that is made could be exceed to its maximum impact of positivity. 1. Applicants should be able to participate in the workshop for 3 full days. 2. English-Mandarin translations will be provided only for the 4 talks during the workshop. 3. 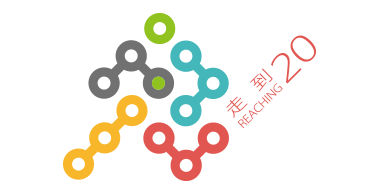 We provide accommodations for participants who live outside Taipei City and New Taipei City during the workshop. We reserve the right to allocate the accommodation for participants. Each room accommodates 1-8 people. Man that never change thy heart can never change a thing. In the end of 2015, 196 country leaders of the world gathered in Paris, France. The United Nations Climate Change Conference(COP21) was held, and also the signing of the Paris Agreement. Meanwhile, there were nearly 100 artists, cultural workers, creators and cultural policy facilitators gathered in Paris, conducting a 3-day workshop (ArtCOP21). Through cases, they work on issues in climate changing, in order to express the deep concern in the matter of environmental sustainability. When facing the global issue, exploring what is behind the environmental degradation, cultural and social problems are what is hidden behind the veil. The most important key lies in our attitude toward life and our consuming habits. At this very moment is the opportunity to actualize oneself and to change the present. Even if perfection seems within distance, an action must be made immediately to achieve status updates. At the same time, we need to continue the consideration and construct a long-term policy to make a change in sustainability. The conversation of the world begins with collaboration and innovation. We respond environmental sustainability through art and creativity, moreover to generate actual stimulation and emerge changes. In this next forum, we will discuss in various aspects, including how artists effect policy by their action, how to transform abandoned mediums to better use, eco-art operation, alternative free market economic. From a distinct practical plan of witnessing artists alter through creative process, as well as the participants’ behavior.